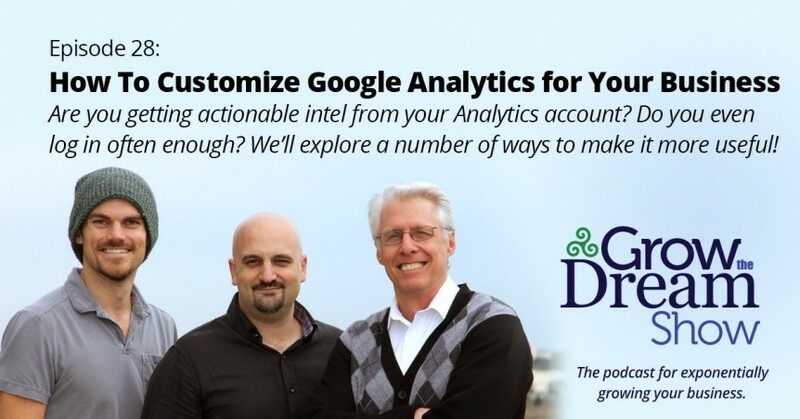 In today’s episode, Josh and David talk about how to make Google Analytics more useful for your business. If you’re guilty of only checking your analytics account once a month and you aren’t getting actionable data, then this show is for you. We’ll explain how important it is to configure goal tracking the extra steps you can take to make analytics more useful. Geckoboard – Web-based “dashboard” tool for measuring your major marketing KPIs, including info from Google Analytics, social media profiles, email platforms like MailChimp, etc. The “Perfect” Dashboard – click to install this in your Google Analytics account. Only really useful for e-commerce businesses. CallRail – Call tracking software that dynamically swaps out phone numbers on your website based upon Google Adwords campaigns and other traffic sources.